Preheat the oven to 190c/fan 170c/gas mark 5. Sift the flour and baking powder into a bowl, and then add the eggs, vanilla, rose essence, sugar and butter. Cream together thoroughly by hand or with an electric hand-held whisk, but not too enthusiastically as you are looking for a light sponge. Divide the mixture between the moulds, careful to only half fill them as they rise quite dramatically. Bake in your preheated oven for about 20 minutes until they are golden brown on the base. Leave the cakes in the mould for a couple of minutes before turning out on to a cooling rack. To make the simple icing, sift the icing sugar into a bowl (trying not to cover yourself in it as you do so) and add the rose essence. Then add in cold water a little at a time to form a stiff paste. Once the cakes are cool, turn them right side up and use a teaspoon or piping bag to gently drizzle over the top of the cakes. 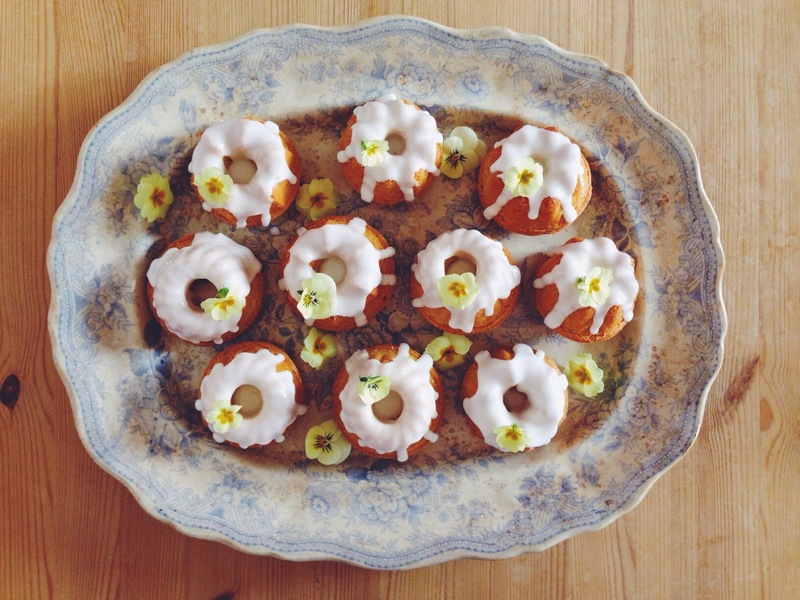 Decorate with edible flowers (violas and primrose here) and leave to set. 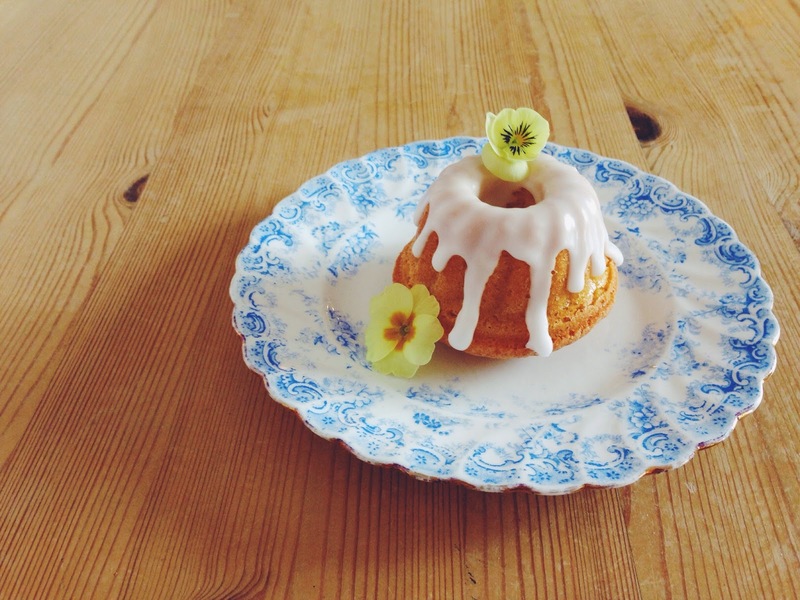 Serve on a pretty plate with a vintage cake fork and a pot of tea.